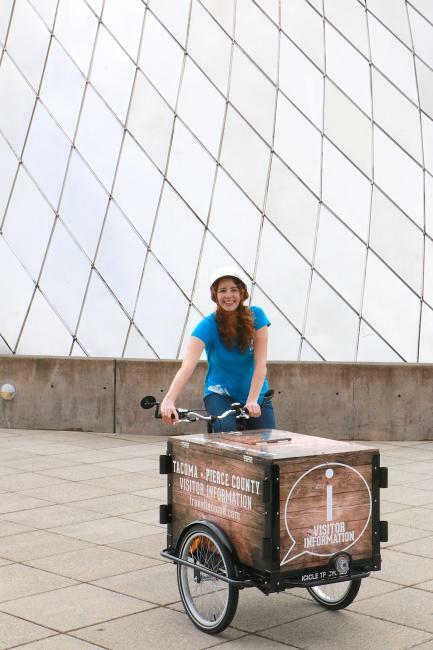 Because it&apos;s easier than saying "Tacoma + Pierce County Informational Mobile Bike Resource." TIMBR is a person-powered visitor information tricycle that carries brochures, a Polaroid camera, Pierce County themed swag and a giant umbrella to locations around the County to help visitors get the best information and expert advice about where to spend their time and energy while they&apos;re in town. 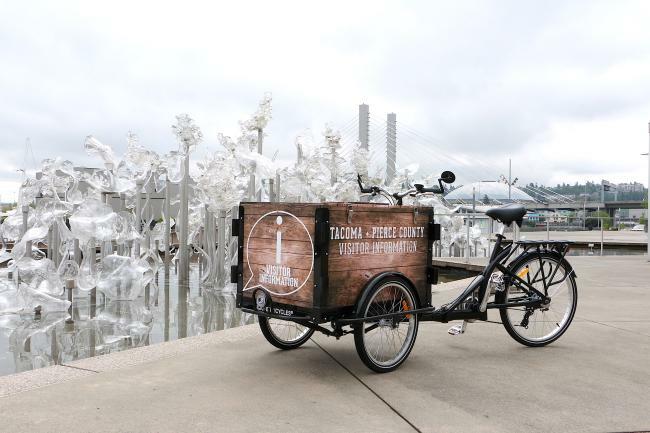 You&apos;ll see TIMBR at festivals and events throughout Pierce County, and roaming around downtown Tacoma and the Ruston Waterfront.